The 90th Annual Academy Awards are this Sunday and I am officially preparing as if I am a part of it all. I figure if you can’t be there in body why not celebrate from afar? The rest of the week I will be sharing a variety of Oscar themed posts in honor of the big event. Today it is all about creating a winning red carpet look through the power of skincare and makeup. 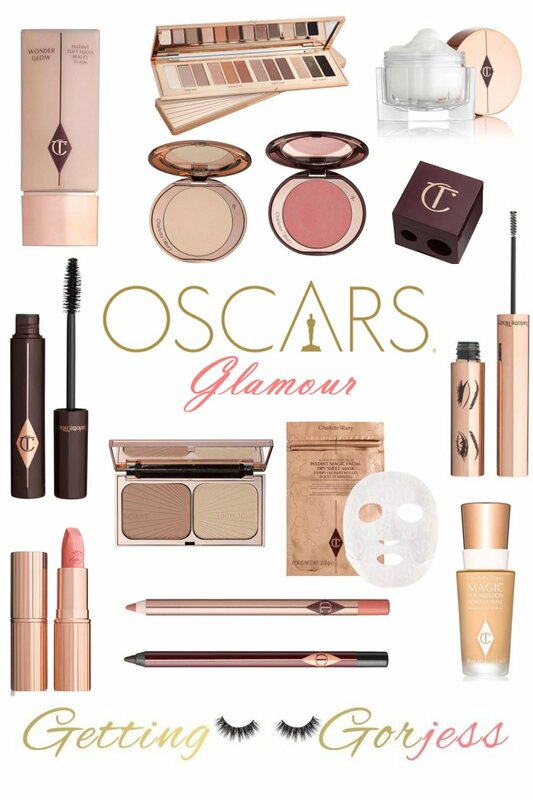 When I think of Hollywood glamour and cosmetics my mind immediately goes to Charlotte Tilbury’s stunning line. From the exquisite packaging to the celebrity inspired product names, no one does A-List glamour quite like the acclaimed makeup artist. Being a freelance artist myself, I decided to put together the key products I would use to create a beautiful Oscar worthy look. Editing the products was a little difficult because let’s be honest, it takes a village. But I managed to narrow it down to my favorite pieces by Tilbury that are guaranteed to make any woman feel like a movie star. Flip through the gallery below to shop all of the CT products to doll yourself up to watch the red carpet and ceremony from a viewing party or even the comforts of your own couch.